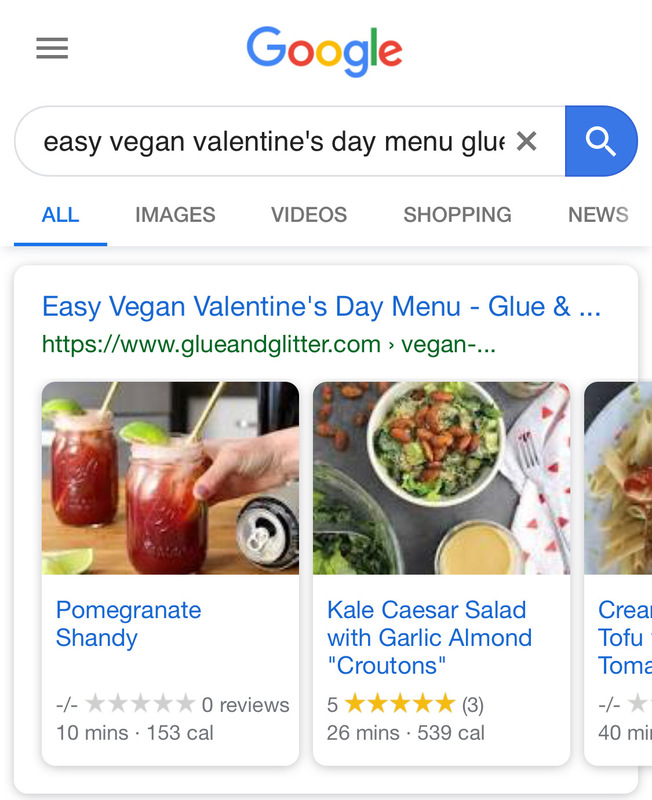 In the above example, one of our customers used this exact feature for a Valentine's Day roundup post and had her post showing up as a carousel in Google. As you can see you'll get a lot of attention with links to the roundup post itself and links to the individual recipes as well. This is only possible because of the metadata we added! 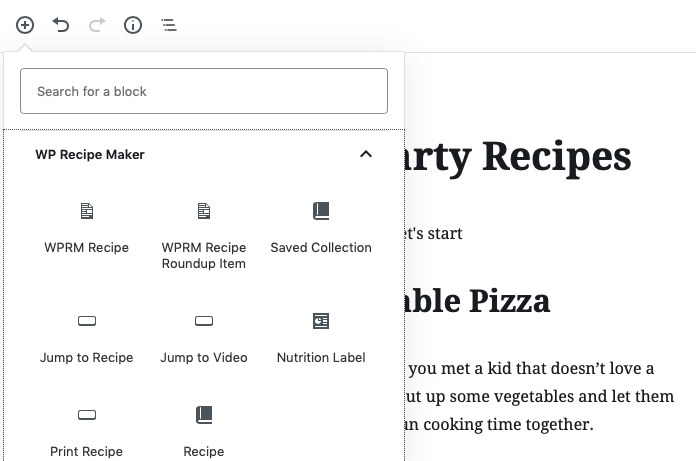 By default a Recipe Roundup Item is a simple button that links to the recipe itself, allowing you to layout your roundup post any way you want. 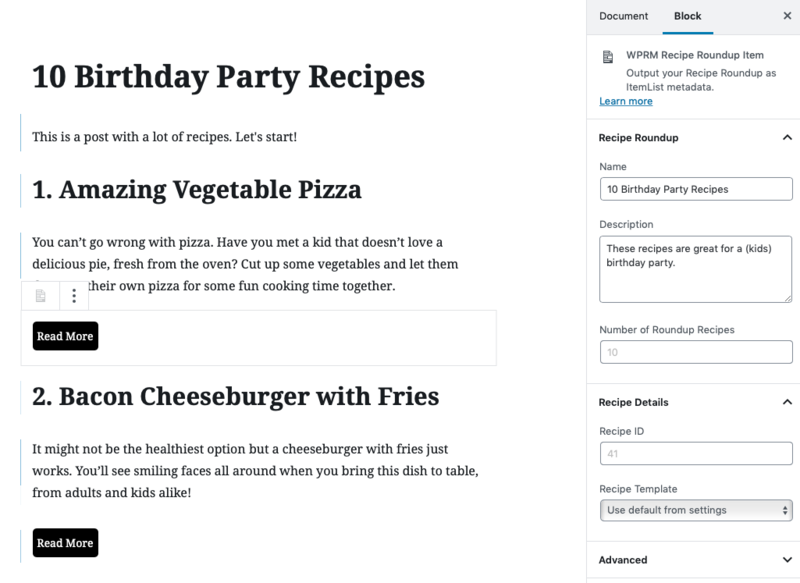 It's possible to edit this template using the Template Editor, adding recipe elements like the image, name and summary we used in the example on our demo website. 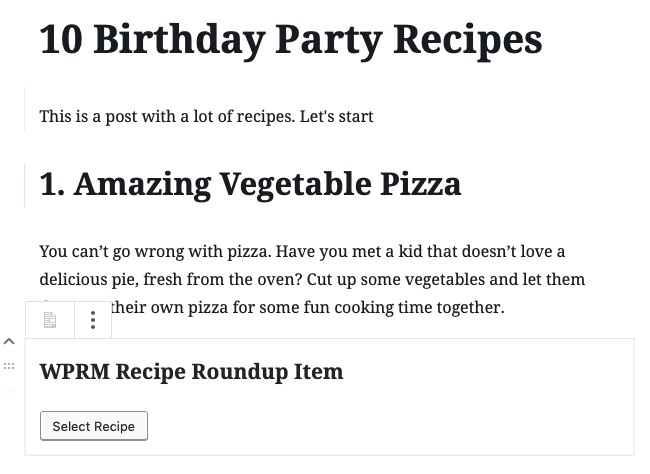 You can add as many of these Recipe Roundup Items to the content, anywhere you want. They will automatically become part of the ItemList metadata. Finally, it's also possible to enrich that metadata with a name and description. Just click on any of the Recipe Roundup Item blocks to set those values in the sidebar. The sidebar will also list the number of items in your list, as a check. 123 would be the ID of the recipe to link to and can be found on the WP Recipe Maker > Manage page.